upgraded games for instant game night success! 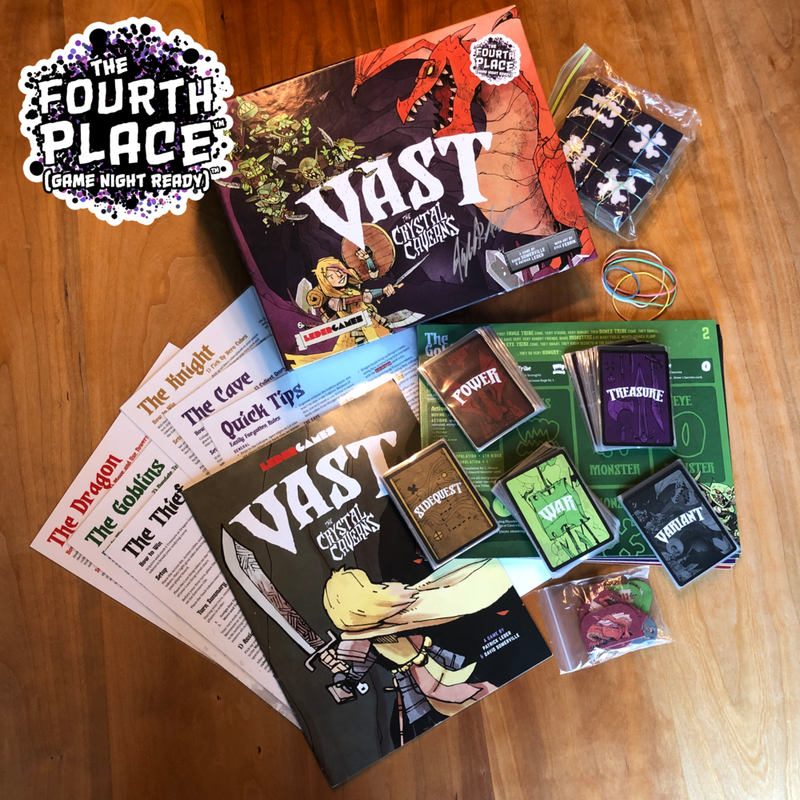 Geek culture startup The Fourth Place is launching the Indiegogo crowdfunding campaign for a line of Game Night in a Bag and Game Library in a Box (and vice versa) collections selected and accessorized to be ready for players and businesses to go straight to hosting successful game nights. 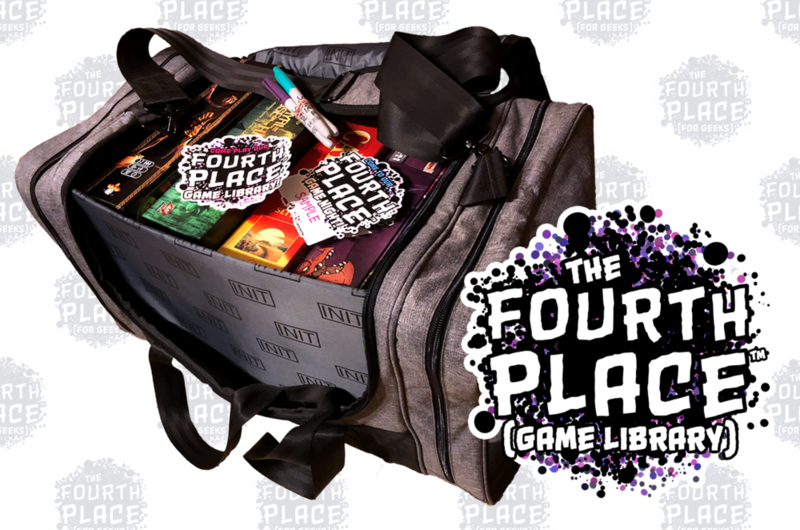 Game collections featuring popular and critically-acclaimed games upgraded to be (Game Night Ready)™ come paired with an Init Gear Gamefolio Vault Duffel Bag, a complete Gamefolio System, or a The Fourth Place premium library box. The games inside are repackaged with premium and hard-to-find card protector sleeves, lamination for fragile papers, ‘ex libris’ name labels, and other accessories like zip-lock bags, to be ready to play— and to survive game night— right out of the box. The seven titles in each starter kit are expected to include Avalon Hill Games’ hugely popular Betrayal at House on the Hill, Leder Games’ asymmetrical indie hit Vast: The Crystal Caverns, Czech Games Edition’s accessible Codenames: Pictures, and Atlas Games’ flagship card game Gloom. Each library will include games diverse in skill level and complexity, cooperative versus competitive play, length of game, age of players, number of players, and genre. Subscription boxes will follow, to build on these collections with new games and expansions on the core set. Versions for businesses including restaurants, coffee shops, dorms, bars, public libraries, and B&Bs include a “success kit” with promotional materials, additional accessories, and guides for both players and owners to ensure successful game nights. Versions for individual players will have lower price points, but still include game accessories, plus extras like stickers. The libraries sell for the MSRP of the games and Init Gear bags, plus the wholesale cost of other upgrades, with free shipping within the United States. Total cost generally comes out cheaper than even the typical online retail cost of all included games, bags, and accessories. The Indiegogo preorder-based crowdfunding campaign runs from September 1st through mid-November, and can be found via https://4th.me/igg/. The Fourth Place can be found on their website at http://thefourthplaceforgeeks.com and on Facebook at http://www.facebook.com/thefourthplaceforgeeks. The Fourth Place creates spaces where geeks feel at home, and everyone feels welcome to play with our cool toys. The startup sells individual (Game Night Ready)™ games and complete Game Libraries, all selected and accessorized so players and businesses can host successful game nights! If you would like more information, please contact Ian Struckhoff at ian@thefourthplaceforgeeks.com or 617.917.4261.